Go sailing and watch the sunset on a 2-hour cruise from San Juan. Get great photo ops of Puerto Rico’s coastline and enjoy a comfortable sail on the Caribbean Sea. Your captain shares commentary about the region, and provides complimentary drinks for your group of no more than six people. 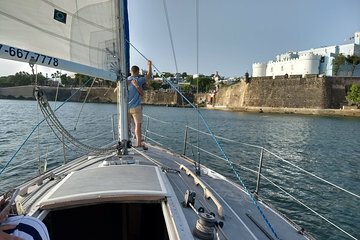 We had a wonderful time on our sunset sail! Captain Rodriguez and Christian told us about the history of the city and taught us a bit about sailing! It was so beautiful and an amazing experience!